Welcome to the Club Molitor, 1500m² perfectly equipped and entirely dedicated to a soft or strong cardio training and workout practice. 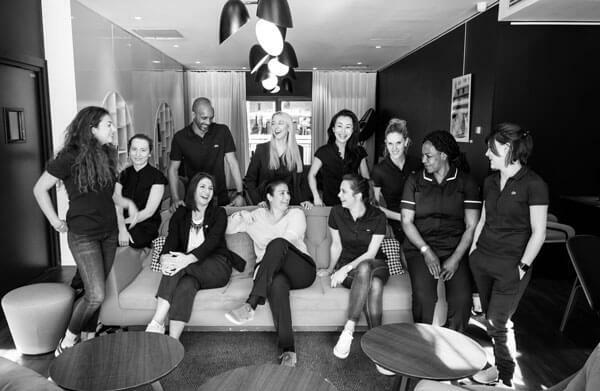 Being a member is the guaranty of a personal care by a professional team, with a global approach through sport, beauty, pleasure and discovery. The Club reunites all those looking for an alternative to the city rush, a second place an ideal Parisian lifestyle. Molitor is the perfect place to surpass oneself or simply sit back and relax. You need to go slowly and not rush your muscles. Start with 2 or 3 sessions a week interspersed by a passive or active (swimming) recovery day. Once you’ve found your rhythm, you can add one session a week or increase your routine sessions.